Lylly Rose Haven the yellow Labrador Retriever at 7 months old—"Lylly is a 77lb VERY loving puppy. My Labradors will produce very nice and beautiful pups themselves. 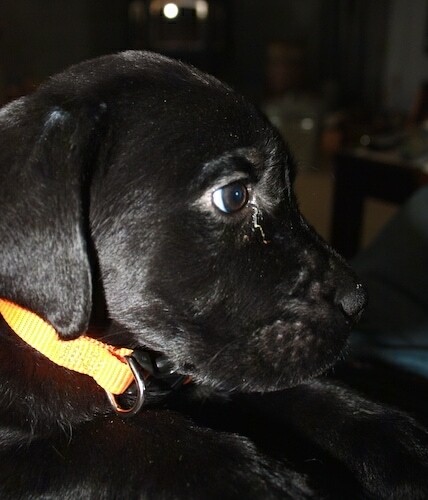 I plan on breeding them when Lylly is 18-24 months old, and donating ALL puppies from them to disabled vets. 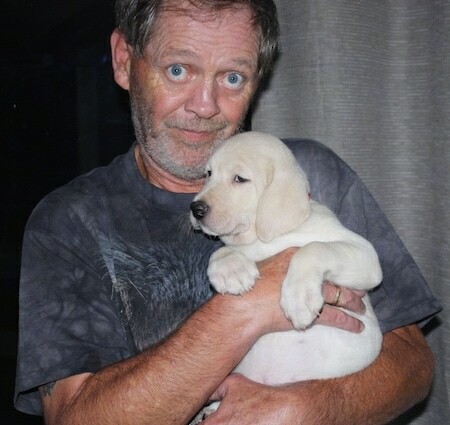 One problem is, I can't find any organization that will take puppies for vets. I have contacted over 30 of them and no go!" 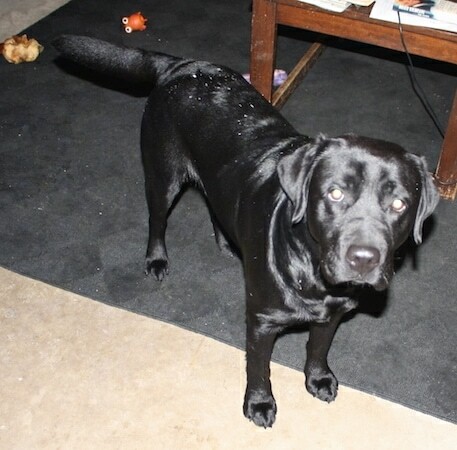 Sir Wizard Haven the black Labrador Retriever at 2 years old—"Wizard is an 87Lb wonderful dog. He is very loving and loyal. He follows me everywhere."